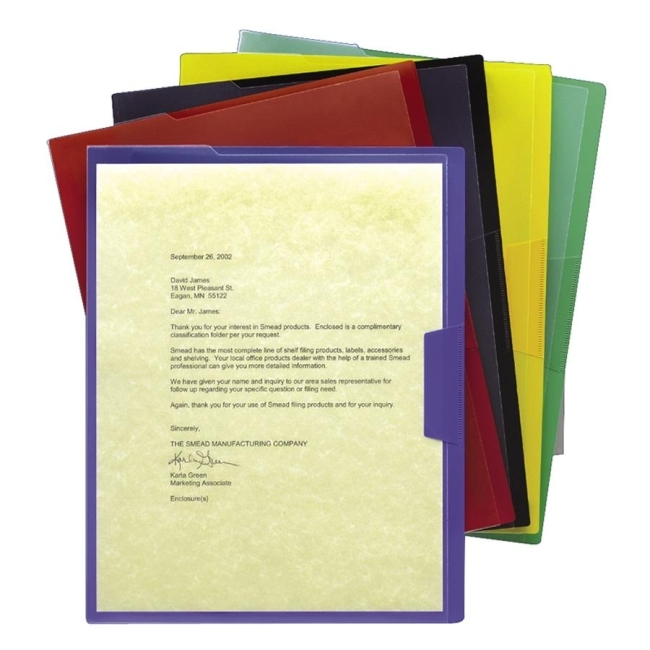 Slide documents into these colorful sleeves to organize your projects. Polypropylene stock of Poly Project Jackets protects contents from dirt and moisture. Open on the top and side with a side tuck flap that locks pages safely inside. Solid color back for color coding, clear front for easy viewing of contents. Acid-free. Archival quality. Available in clear or translucent five-color assortment: red, blue, yellow, green and black.